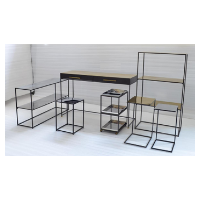 Browse metal-metal-products suppliers by country and region. Description : Plastic-bonded magnets are particle composites with permanent-magnet powder embedded in a plastic binder. 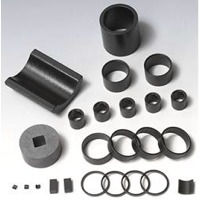 Hard ferrite (HF), various SmCo and NdFeB powders and, to a very little extent, AINiCo alloys are used as magnetic powder. For embedding the magnetic particles, thermoplastic binders as, for instance, polyamide (PA) or polyphenyl sulfide (PPS) and duroplasts like epoxy resins are used. 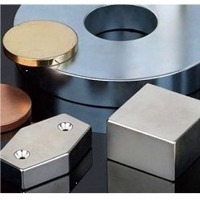 Depending on the material composition and production process, isotropic and anisotropic magnets with differing magnetic and mechanical specifications are available. Since not only the type of magnet or plastic material, but the filling and alignment degree, too, determine the composite`s properties, the outcome is widely varying magnetic parameters and an outstanding variety in types and shapes. Halbach array is a special arrangement of permanent magnets that augments the magnetic field on one side of the array while cancelling the field to near zero on the other side. This is achieved by having a spatially rotating pattern of magnetisation. 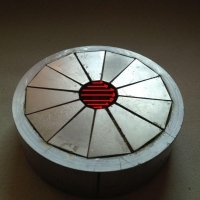 The rotating pattern of permanent magnets (on the front face; on the left, up, right, down) can be continued indefinitely and have the same effect. The effect of this arrangement is roughly similar to many horseshoe magnets placed adjacent to each other, with similar poles touching. Short on time? Let metal-metal-products sellers contact you. 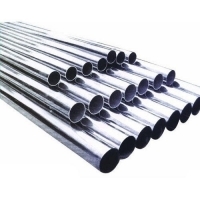 Aluminium ( ingots, T-bars, sows, rods), copper (cathodes, cakes, billets, ingots, rods), lead (ingots), nickel (cathodes both cut and uncut briquettes, pellets, discs, etc. ), tin (ingots, etc. ), zinc (ingots both regular size and jumbos), steel billets (all types including CRC, HRC, HDGC, plates, sheets), concentrates and ores for above items including bauxite and iron ores), scraps of above items including HMS 1&2 and steel scraps. 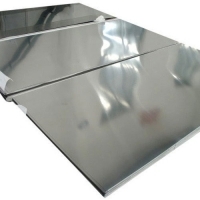 We can provide two different grades of spent aluminium shot. This material is collected after it is used to remove surface contamination of nonferrous metal casting parts ( blast cleaning processes). It is white fused alumina manufactured from calcined alumina classified with the following EWC code: 12 01 17. 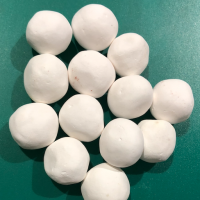 We can provide two different grades: ALU 1 Size: 20 mm Bulk Density: to be informed later Current Availability: 200 MT/monthly ALU 2 Size < 2 mm Bulk Density: 3,80-3,90 kg/dm3 Current Availability: 200 MT/monthly Feel free to contact us for further details. Steel and iron slag Oxide dusts, sludges, scales, slags and spent refractories are co-products of the iron and steel manufacturing process. These residues generally represent 6-7% of the whole steel production. Their production arises from the conversion of ores to iron, hot iron to steel, and from melting scrap in an electric arc furnace or from the subsequent treatment of crude steel. These by-products, especially in the past, were classified as waste and often stocked and or disposed in landfills, although they could be a valuable secondary raw material when recycled and properly reused. If treated correctly, they can be utilized both in metallurgical processes and in other industrial applications. 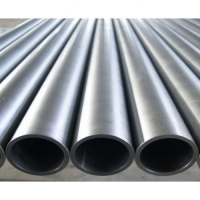 The supply of raw materials is a key issue for the world steel industry. Currently the most common steel making process are: From raw materials including iron ore, limestone and coke along with recycled steel by the blast furnace (BF) and basic oxygen furnace (BOF) route. The purpose is to extract metals from ores, and subject them to a thermochemical treatment in order to produce alloys. 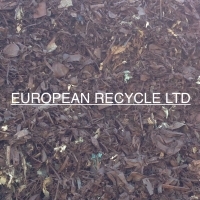 Waste Specification: European Classification: E46 EWC Code: 19.01.02 Basel Code: B10 10 The Incinerated scrap is the by-product of the household waste incineration. After the combustion process, the furnace output is firstly washed and then magnetically separated. At a visual inspection, the material is fragmentized, with iron and steel parts, resulting partly cut or in shredded form. 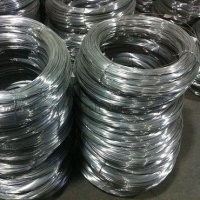 The stock appears heterogeneous and contains all kind of cut or dismantled steel parts such as sheets, bars, frames, wires, bolts and other iron/steel household residues. Our Middle Plus Grade has an average Fe content of 92 95%. A Fine Grade, resulting in an average Fe content between 80-90%, is also available. The incinerated scrap is eventually oxidized, due to the thermal and cooling treatments, that the material has been submitted to. The burnt scrap also contains minor slag-parts, ash and iron oxide, due to the quirky recovery process. 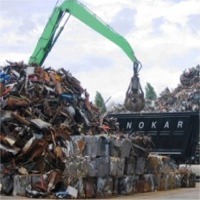 Such components are inherent and adhere to the scrap surface. The total impurities, around 5-7% in weight, can be sorted, but not fully removed. The consignment does not contain any type of arms, ammunition, mines, shells, cartridges, radioactive contaminated, or any other explosive material in any form either used or otherwise. The collected stock, is stored in open air, on cemented flooring. Due to the scrap dimensions and the material conditions, this particular scrap, should be carefully evaluated first, by the end users, to confirm its adequate recovery ratio and its suitability to be re-melted in the electric arc furnace. 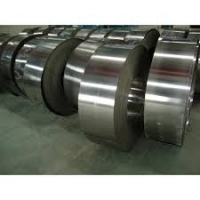 We deals in the following products of India, China, Taiwan and Korea Origin:- 1)Hot Rolled Steel (Hot Rolled Sheets, Hot Rolled Coils, Hot Rolled Plates, Hot Rolled Bars etc) 2)Galvanized Steel (Galvanized Steel Tapes, Galvanized Steel Wires, Galvanized Steel Strips, Galvanized Steel Coils, Galvanized tubes etc) 3)Cold Rolled Steel (Cold Rolled Steel Strips, Cold Rolled Steel Coils, Cold Rolled Sheets etc) 4)Stainless Steel (Stainless Steel Strips, Stainless Steel Coils, Stainless Steel Wire, Hardened and Tempered Spring Steel, Stainless Spring Steel, Spring Steel Wires etc) 5)Steel Tube and Pipes ( ERW, CRW, CRS, Black, Galvanized, Stainless ) 6)Forged Column Clamps, Girder Clamps, Pressed Clamps, Rapid Clamps, Support Clamps & Wedge Clamps. 7)Heavy Duty Props & Light Duty Props. 8)Nuts, Bolts, Nails & Fastners 9)System Scaffolding, Base Plate & Adjustable Base. 10)Steel Tie Rod, Waller Plates and Wing Nuts. 11)Drop Forged and Pressed Sheet Metal Couplers of all types. 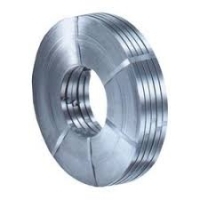 12)Steel Billets, Steel Angle & Steel Channels. Al 96% Fe 1% Mg 1% Mn 1% Cu 0, 5% Si 0, 4% Others less than 0, 1% Origin : turkey Price: usd 1875/mt cfr main ports Inspection: SGS Qty: as per requirement Trial order: 1 container Seller: direct / scrap yard. 1) Chemical (on dry basis) : Mn 40% basis / 38% Min Fe2O3 12.0% Max P2O5 0.20% Max SiO2 8.0% Max. Al2O3 0.0% Max. Moisture @105 C 10% Max. 2 ) Physical (on natural basis) : Size: 5-40mm, min 80%.